The Low-Down: Will Augmented Reality Transform E-commerce? 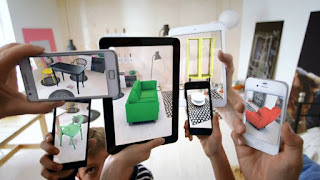 Will Augmented Reality Transform E-commerce? Despite the fact that online shopping has grown at a colossal pace for the past two decades, brick-and-mortar stores are still as important as ever. This is mainly because the online store experience still fails to give the user a real contact with the product to be sold. AR familiarizes online shoppers with products that were only photos in the E-Commerce experience. An omnichannel retail approach is to create a seamless customer experience across all mediums. There’s no doubt that Augmented Reality is the next big thing in the technology world. I’m not saying this because of being a Black Mirror fan, but because every other week there’s a new AR app released and what used to be a futuristic dream seems to be finally coming true. During the past two years, AR moved from being the new tech kid on the block with the release of Pokemon Go, to becoming the battlefield where most of the tech giants want to grab their bite. Regarding software frameworks, Apple made the most significant move by releasing ARKit earlier this year, followed by ARCore from Google. While in the hardware world companies are fighting head to head to launch the best AR glasses. There’s a tremendous roar for AR everywhere in the tech world, and many industries are exploring different ways of applying AR to enhance their businesses. However, among all the sectors where augmented reality has landed, E-Commerce is maybe the one that will generate the most disruptive impact on our society. Despite the fact that online shopping has grown at a colossal pace for the past two decades, brick-and-mortar stores are still as important as ever. This is mainly because the online store experience still fails to give the user a real contact with the product to be sold. This is why it’s frequent to see a customer start shopping in one channel and finish the purchase through another one. Consumers need to feel confident about their purchase decisions, and mere flat images, dimensions or specs can’t replace the intimacy generated by trying the products in real-time, in the customer’s real environment. Enter Augmented Reality. AR brings realism to the purchase scenario by familiarizing online shoppers with products that were only photos in the E-Commerce experience. An accurate omnichannel retail approach is to create a seamless customer experience across all mediums. AR helps to bridge those gaps through a tangible presence in the online shopping process. This is the simple but still incredible thing about AR that completely revolutionizes the E-Commerce Industry: it merges both worlds (online and offline). Let’s then welcome the Augmented-Commerce terminology (aka A-Commerce), which will soon replace the E-Commerce term. Through AR, retailers can now offer a more interactive and personal experience that will shift the way we shop forever. Of course, brick-and-mortar stores won’t disappear just yet. But for sure we are coming closer to see that happen one day. 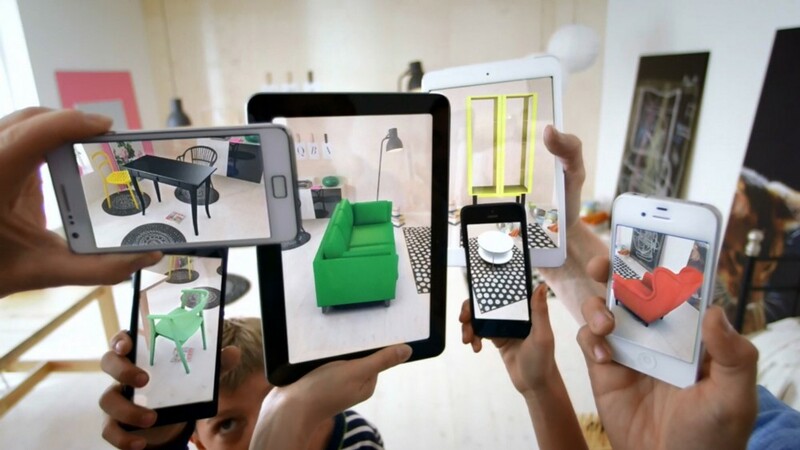 With the recent release of iOS 11 and Apple’s ARKit, Ikea has released its AR app to aid customers to visualize what their furniture might look like in their own homes. The user can easily swipe through its most popular collections, or filter by types of products like “Baby & Children,” or “chairs and desks.” The app is free to download from the App Store. 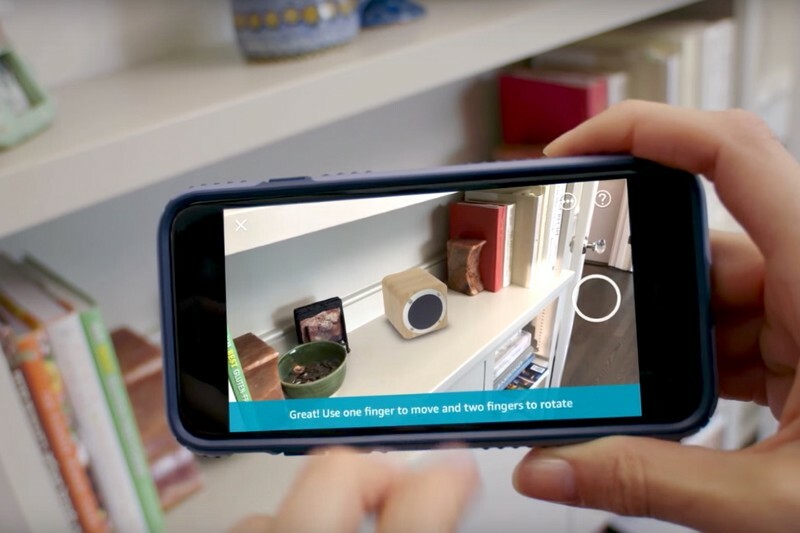 Following IKEA’s lead, Amazon launched a new AR feature recently, letting users test how any given product would look in their home or workspace before ordering it. Called AR View, the feature is activated by clicking on the camera icon in the Amazon app and selecting from thousands of products across categories like home decor, kitchenware, and furniture. In the latest update to its iOS app, Sephora included a feature that lets users try virtual makeup on. The feature scans your face, figures out where the lips and eyes are, and lets you try on different looks. Right now, the user can only play with lip colors, eyeshadows, and false lash styles. 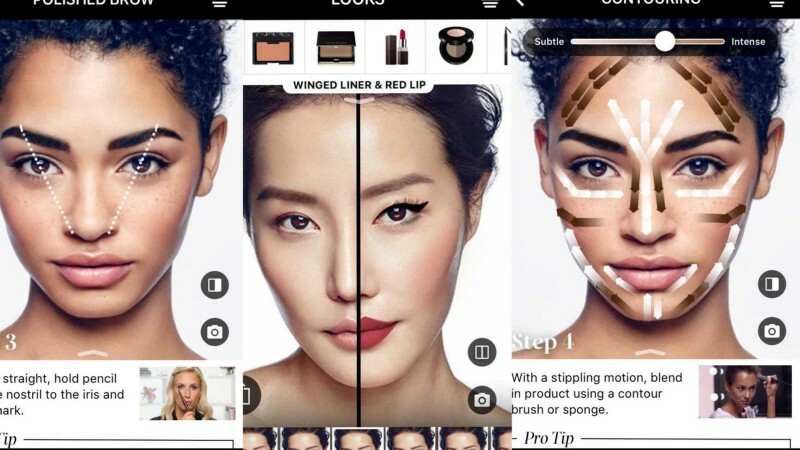 The app also offers “virtual tutorials” showing how to apply the makeup, overlaying on the user’s face. Looking for the perfect pair of sunglasses may be a real pain, especially when you’re not Brad Pitt nor Angelina Jolie. Ray-Ban’s new app lets you try all the different sunglasses from the brand, with the comfort of never leaving your home nor having to stand in front of a mirror for hours.